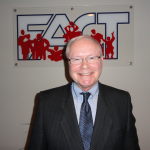 In January of 2011 Rich became a board member of F.A.C.T. He began his association with F.A.C.T. in the fall of 1992. Since then he has helped with accreditation, attended strategic planning workshops and participated in other workshops dealing with the special need students and their families. He found F.A.C.T. employees to be sincere, knowledgeable, and straight forward in their suggestions regarding needs for the customers they served. Rich retired in 2010 after 33 years of public school employment, 21 of which were in school administration and 18 as Director of Special Services in Washington, MO. Rich takes his serving as member of the F.A.C.T. board seriously. 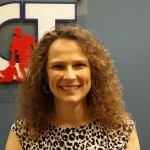 Michelle Peters has over 25 years of experience working with individuals with disabilities. She began her career as a direct support professional during her youth and has carried a deep passion for service excellence and advocacy throughout the years. 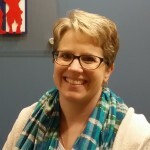 Michelle is presently employed by Emmaus Homes as the Vice President of Client Services where she leads and directs the organization’s service delivery for nearly 300 clients. Since joining the Emmaus team, she has been creating a culture of exceptional customer service and employee engagement in problem solving, prevention, innovation, and change implementation. Prior to her position within Emmaus Homes, Michelle held various leadership, case management, and transition roles within the Department of Mental Health. 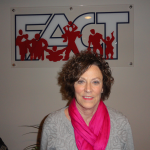 Michelle currently serves as the President of the St. Charles County Coalition and as a board member for FACT. 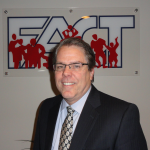 Joe Aiello began his association with F.A.C.T. in 2008 as a guest at several F.A.C.T. fundraising events. 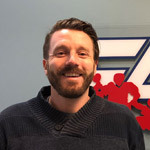 As his interest in the organization grew, Joe was invited to join the Board in November 2010. 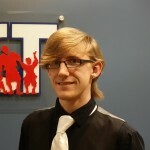 Knowing that the agency makes a significant difference in the lives of so many Joe is very proud to serve on the board. Joe is employed as President of Bassik Services, Inc., a provider of logistics services in the Saint Louis marketplace, and also serves as a member of the Board of Trustees of Drake University in Des Moines, Iowa. 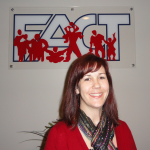 Kathy became involved with FACT in 2002, joining the Board in 2006. Kathy’s passion is working with nonprofits. She received her Bachelor’s Degree in Accounting from Maryville University in 1996, passed the Certified Public Accountant exam in November of 1998 and received her license in 2000. After working as an auditor, she moved into various accounting roles with several non-profits. She now works as the Finance Director for Coordinated Youth & Human Services in Granite City, IL. Jane Skinner is a Director in Employment Services at Life Skills. Life Skills provides services for teens and adults with developmental disabilities. Prior to joining Life Skills, Jane’s background included retail management, apparel buying and marketing. She is a parent to two young children, and her youngest child has a developmental disability. Jane worked with F.A.C.T. as a client when her daughter was entering the school system, and understands fully the importance of the work that F.A.C.T. provides. Midge Smith and her husband, Russ, have owned G.S. & S. Contractors since 1983. Midge received a Bachelor’s degree in both Elementary Education and Special Education in 1970 from Fontbonne University and between her education and her own personal experience raising a family, she has seen firsthand children’s potential to succeed given the appropriate environment. Previously Midge has volunteered her time, and collected and distributed food and clothing to families in need in St. Louis City. She has been a F.A.C.T. board member for ten years and continues to make a difference in the lives of children with disabilities. Craig Frahm has been the Chief Financial Officer/Chief Operating Officer of St. Charles County Economic Development Council since May of 1998 and is also responsible for the day to day operations of the incubator facility located in St. Charles County containing 35+ companies. Craig has 25+ years of experience working in accounting and business and earned a Bachelor of Science – Accountancy, from the University of Missouri-Columbia in 1984. He is currently serving as a board member of Campbell Montessori School, the St Charles County Planning and Zoning Commission, and is Board President of Family Advocacy & Community Training (F.A.C.T.). He has also formerly served on the Salvation Army Tree of lights campaign and St. Charles County Parks Advisory Board. Craig served as board member, Treasurer and President for St. Charles City Parks and Recreation from 1992-1998 that included 18 parks covering 400 acres. During that time Craig chaired the Parks and Recreation $1.6 million bond issue to expand the pools and soccer facilities at Mueller Soccer Park. Craig is married to Lorna Frahm and has lived in St. Charles since 1984. Craig and Lorna’s children, Anna and James currently live and work in Chicago and New Jersey, respectively. 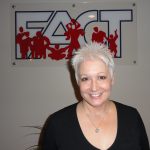 Anne Wansing joined the Board of F.A.C.T. in January, 2015. Anne has worked for various corporations around St. Louis in their corporate legal department and currently works for Express Scripts. Anne has lived in St. Charles since 1996 with her husband and two boys (16 and 14). Both her boys attend school in the City of St. Charles School District. Josef, her 14 year old son, has been diagnosed with Epilepsy, Autism, ADHD, diabetes, visual tracking difficulties, Celiac disease and is color blind. She has been advocating for her son since he was 2 years old beginning with First Steps. 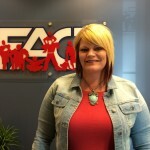 Anne and her husband, Jamie, were introduced to F.A.C.T. when their son was first diagnosed with Autism when he was 5 years old. They came to speak with an advocate and decided it would be best if Anne participated in the workshops about the IEP process. She has always been so blessed by the many people who have helped her through the years, she decided it was time to give back and help others. Luke is a Registered Architect with over 12 years of experience in residential, educational and civic projects. In addition to architecture, Luke has an interest in painting and sculpture. His experience in both art and architecture help shape and drive his passion to add value to the community through design and volunteerism. Luke began working with F.A.C.T. as a member of their Fundraising Committee in 2017. 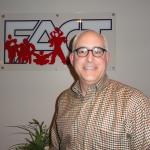 Now as a board member he is committed to helping F.A.C.T. achieve its mission of improving quality of life and opportunities for children and adults with disabilities.